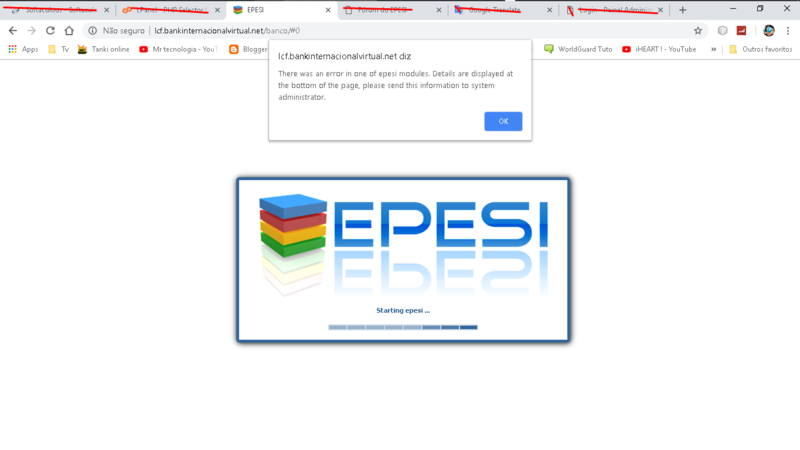 Hello, well, it's been a few days since I uninstalled and reinstalled it, but it's all coming up that I'm going to log in to EPESI with this error "There was an error in one of epesi modules. . "
Well and not logan, well I'm sending along with print as the errors that the program's initial page generated automatically. This looks like an old error. What version of Epesi are you using? Alternatively you can manually increase the size of the field "ip_address" to maybe 256 chars.